A bone mineral density (BMD) test is used to assess the health of your bones – how strong they are and how likely it is that they may suffer from an osteoporosis-related fracture. Bones are made up of protein and minerals. It is the minerals, such as calcium, that harden to give a honeycomb-like structure to the interior of your bones. The greater the amount of minerals present in bone, the higher its density. How do bone mineral density scans work? We use a technology called Dual Energy X-ray Absorptiometry (DXA) to measure the density of your bones. DXA is an X-ray technology which is the current “gold standard” method for bone mineral density measurements. DXA uses a very low dose of X-ray – one scan uses about the same amount of radiation as you would receive from two hours of direct sunlight. 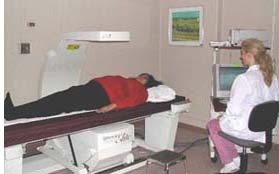 A standard chest X-ray uses 10-20 times more radiation than what you will be exposed to from a DXA bone density scan. What does a bone mineral density test tell me about my bones? A bone mineral density scan measures the mineral content of your bones. 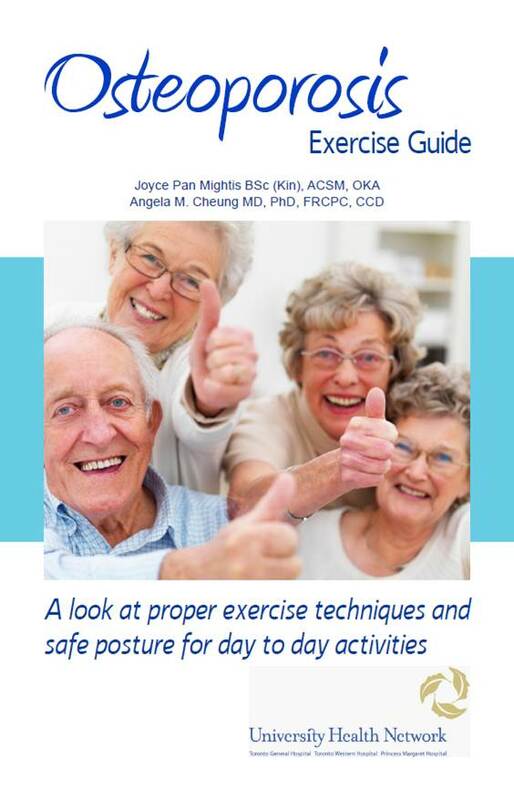 The primary objective for osteoporosis patients is to reduce the risk of fracturing their weakened bones. Although the result of a bone mineral density scan is important in predicting risk of fracture, bone mineral density alone cannot always tell which patients will fracture. For example, the chance of a 50-year-old woman fracturing a bone is much lower than that of an 80-year-old woman, even if their BMD tests show similar results. This is because bone mineral density is only one aspect of bone strength. The 50-year-old woman’s bones may be stronger because the quality of her bones may be better. Since a bone mineral density test cannot measure the quality of your bones, your fracture risk cannot be determined by BMD results alone. A detailed fracture risk assessment can only be done after taking into account other factors that affect the strength and quality of your bones. Doctors often use a fracture risk assessment tool to evaluate the 10-year probability of bone fracture risk. How often should I get a bone mineral density scan? After your first scan, your doctor is best able to determine when another bone mineral density scan should be done, and if subsequent BMD scans will provide additional information that can be helpful for improving your health. If you start taking osteoporosis medications, keep in mind that the BMD machine will likely not be able to detect any meaningful changes if a second scan is done within a year. Osteoporosis medications can make your bones stronger and greatly reduce the risk of a fracture, even if a follow-up BMD scan shows little change in your bone density. Several studies have shown that after therapy, your fracture risk decreases because of the overall improvement in the quality of your bones. In some cases, you may only need a scan once every few years. If you have an appointment with us for a bone mineral density scan, please visit the UHN website for more details on what to expect and how to prepare for your visit. If you would like to book a BMD test with us, please visit the website for the Centre of Excellence in Skeletal Health Assessment (CESHA).